Are Fireflies Native to Virginia? Whether you call them fireflies or lightning bugs, the glowing beetles are a common native insect in the state of Virginia. The two terms are used interchangeably in the state to describe the insect, which belongs to the family Lampyridae. There are about 2,000 identified species of firefly in the world. The most common fireflies species found in Virginia belong to the genus Photinus or Photuris. The Photuris genus are known as femme fatales because they prey upon male Photinus fireflies. The female mimic the flash of the male to lure them in and eat them to absorb a toxic chemical it needs to ward of predators. There are other types of fireflies found in Virginia as well, some of which do not glow at all -- with the exception of their larvae. Virginia offers ideal habitats for fireflies to live. Fireflies favor grassy and wooded areas located near rivers, streams, ponds, marshes and lakes. Areas with these features can be found throughout Virginia. Fireflies also require warm, humid weather, which Virginia has during firefly season. Fireflies inhabit tall grasses, crawling along the ground during the day and taking flight at night. Fireflies use bioluminescence to find their mates. Each firefly species has its own signal pattern used to differentiate each other in the darkness. The glow is produced by taking oxygen into a special organ located in the firefly's abdomen. The oxygen combines with a chemical called luciferin to produce the signature glow. It is also believed that the glow is meant to ward of predators. A field of twinkling fireflies at dusk is a common sight throughout Virginia. Firefly population fluctuates in the Mid-Atlantic region, which includes Virginia. Threats to the firefly population include urban development and light pollution, which interferes with the firefly mating display. 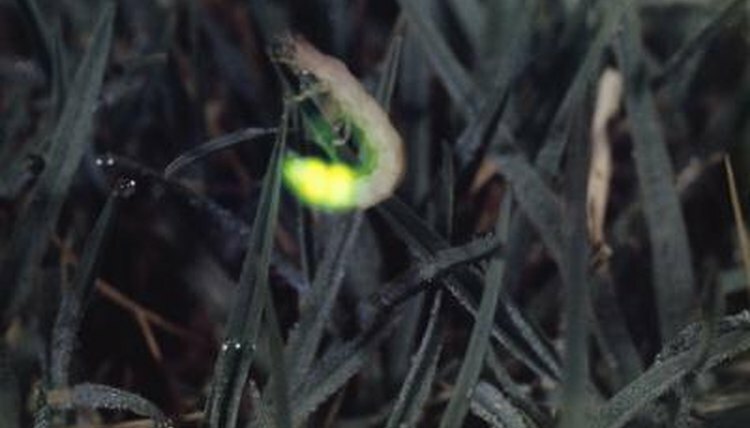 Household chemicals used to treat lawns also impact firefly populations. Entomologists marked a population decline in the late 2000s throughout the region, but numbers have been increasing since 2010. Researchers are not sure what is behind the resurgence, but warmer and wetter weather is one possibility. Old South High: Lightning Bug or Firefly? WCVE: It's Firefly (Lightning bug) season!